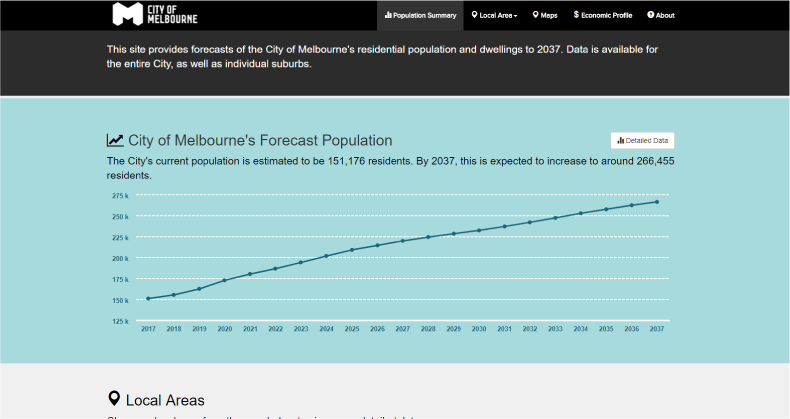 For the last five years, Geografia has prepared and presented the City of Melbourne's population forecasts via a customised website. During that time we've seen the City's population grow by over 50,000 residents. Population data is provided by suburb for the next 20 years and includes age and gender breakdowns.